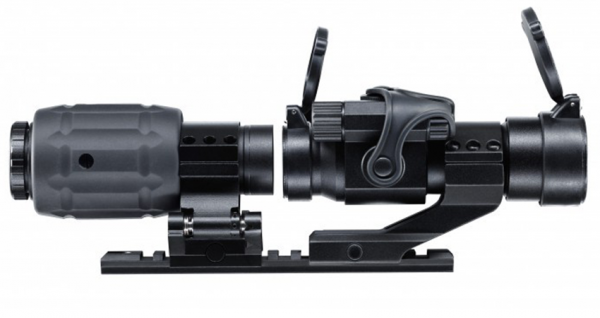 The Evolution Point Sight 3 has a finely adjustable red dot with a diameter of 4 MOA. There are 7 brightness settings. The EPS 3 is not just a red dot sight, however, it is a complete set consisting of a sight and a 3x power magnifier in a sturdy polymer jacket. 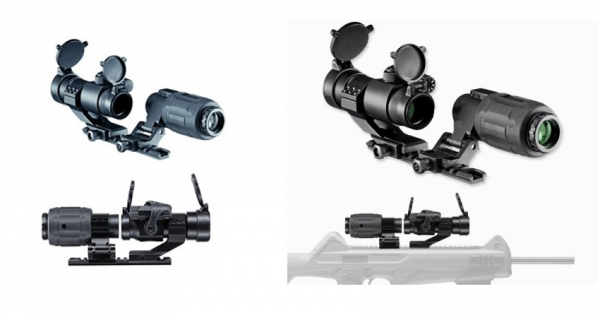 In addition, it is equipped with flip-up lens covers and protectors for the adjustment knobs. 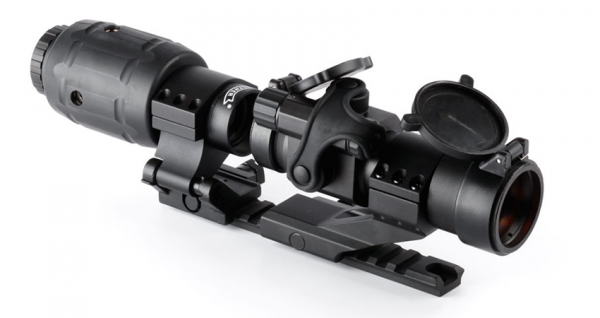 Another helpful feature is the offset mount, which significantly increases the adjustment range on the mounting rail. The optical components are extremely well anchored, and each component has 3 screws. Brightness adjustable in 7 settings.